• 100 Percent Natural Burlap. 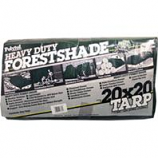 • Reduces Erosion and Conserves Moisture While Grass Or Seedlings Get Started. 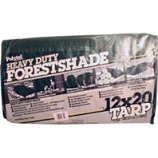 • Porous 100% Polypropylene Nonwoven Fabric Breathes, Lets Moisture, Fertilizers, Air Reach Plants To Allow For Healthy Soil. • Durable, Tear-Resistant,Won't Rot Or Mildew. 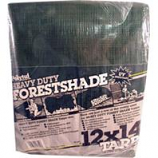 • Lightweight, Easy To Install, Follows Natural Ground Contours. 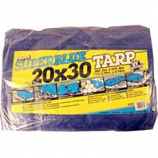 • Ideal For Use In Landscaped Beds, Under Decks and Walkways. 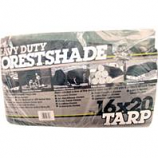 • Cover With 3-4 Of Mulch, Bark Or Stone. • Durable, Tear-Resistant, Won't Rot Or Mildew. Uv resistant top coating weather resistant polyethylene coating. Double-stitched or heat sealed hems. Grommets on every corner and about every 3 feet around the hem. Poly roping in hem all around. Reinforced corners. 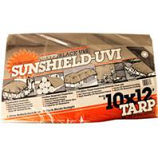 Sunshield tarps are 6 oz. uv resistant with silver on one side and black on the other. Constructed with a 14 x 14 weave count and is 11-12 mil. Rustproof grommets are every 2' around the hem. Heavy duty plastic reinforced corners and 1/4 bolt roping in the hem. 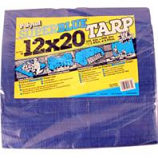 16' x 20' tarp. 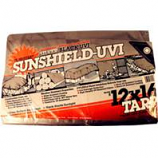 Sunshield tarps are 6 oz. uv resistant with silver on one side and black on the other. Constructed with a 14 x 14 weave count and is 11-12 mil. Rustproof grommets are every 2' around the hem. Heavy duty plastic reinforced corners and 1/4 bolt roping in the hem. 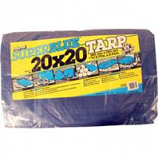 20' x 20' tarp. • 3. 0 Oz Sq./Yd. Spun Bond Hydrophilic Treated Non Woven Landscape Fabric For Weed Control. • Saves Big On Watering By Conserving The Soils Moisture. • Provides Complete Weed Control. • Lets Air, Water and Nutrients Through. • Install Mulch Bark Or Stone For A Finished Look. • No Herbicide Pretreating Necessary. • 3.0 Oz Sq./Yd. Spun Bond Hydrophilic Treated Non Woven Landscape Fabric For Weed Control. • For A Finished Look, Cover With Bark Or Mulch. • 3. 5 Oz/Sq. Yd. 2 Color Up Treated Spunbond Hydrophilic Treated Non-Woven Landscape Fabric. • Install Mulch, Bark, Or Stone For A Finished Look. 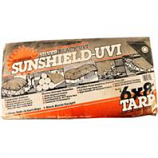 Sunshield tarps are 6 oz. uv resistant with silver on one side and black on the other. Constructed with a 14 x 14 weave count and is 11-12 mil. Rustproof grommets are every 2' around the hem. Heavy duty plastic reinforced corners and 1/4 bolt roping in the hem. 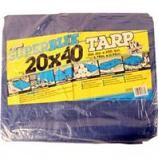 12' x 20' tarp. 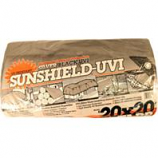 Sunshield tarps are 6 oz. uv resistant with silver on one side and black on the other. Constructed with a 14 x 14 weave count and is 11-12 mil.. Rustproof grommets are every 2' around the hem. Heavy duty plastic reinforced corners and 1/4 bolt roping in the hem. 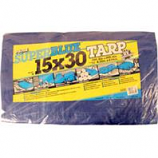 10' x 12' tarp. 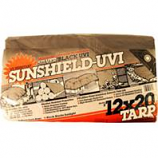 Sunshield tarps are 6 oz. uv resistant with silver on one side and black on the other. Constructed with a 14 x 14 weave count and is 11-12 mil. Rustproof grommets are every 2' around the hem. Heavy duty plastic reinforced corners and 1/4 bolt roping in the hem. 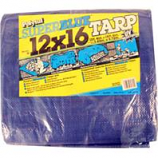 12' x 16' tarp. • Wrap Tree With Dewitt Tree Wrap, Attach Tree Straps, and Secure Stakes In Ground. • Plastic Stakes Polypropylene Straps. 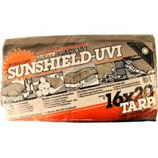 Sunshield tarps are 6 oz. uv resistant with silver on one side and black on the other. 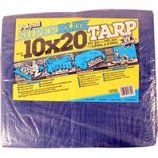 6' x 8' tarp. Constructed with a 14 x 14 weave count and is 11-12 mil.. Rustproof grommets every 2' around the hem. Heavy duty plastic reinforced corners and 1/4 bolt roping in the hem.